The UNVEIL collaborative research and training network is a group of geneticists, wildlife biologists, philosophers, resource mangers and other stakeholders working to advance our understanding of genome-to-phenome connections in the wild, and to use these discoveries to inform innovative strategies for biodiversity conservation. UNVEIL is a partnership between the University of Montana (UM) and the University of Nebraska, Lincoln (UNL) and is designed to capitalize on the strengths of each institution. UM is well positioned to advance genome-to-phenome science in the wild due to an intellectually diverse faculty, recent investments in infrastructure for genomics and phenomics of non-model systems, and unparalleled access to pristine natural areas for studies of wild populations. UNL provides complementary strengths in evolutionary genomics, computational systems biology, molecular biology, and physiology, with a strong group of faculty working on the mechanistic basis of variation in fitness related traits. Our network brings together researchers with expertise spanning levels of organization from genes to ecosystems. 1.) How are regulatory networks remodeled by local adaptation? 2.) Does local adaptation produce regulatory networks that are more resilient to environmental perturbation or are locally adapted networks more dynamically responsive to relevant environmental stressors? 3.) Are core network genes the loci of adaptation, or does pleiotropy limit their evolvability? Phenotypic plasticity allows individual genotypes to produce different phenotypes in response to changes in the environment. In an era when the rate anthropogenic environmental change may often outpace the rate of genetic adaptation, understanding the mechanisms of phenotypic plasticity is increasingly urgent. Because physiological plasticity requires intimate coordination of several integrated systems, comparisons of the acclimatization responses among populations that are locally adapted to different environments can provide key insights into limits, constraints, and reorganization of plastic responses in different environmental contexts. Such insights are crucial to management decisions regarding facilitated migration and translocations because certain aspects of the integrated plastic responses may be maladaptive when inappropriately coopted in a new ecological context. 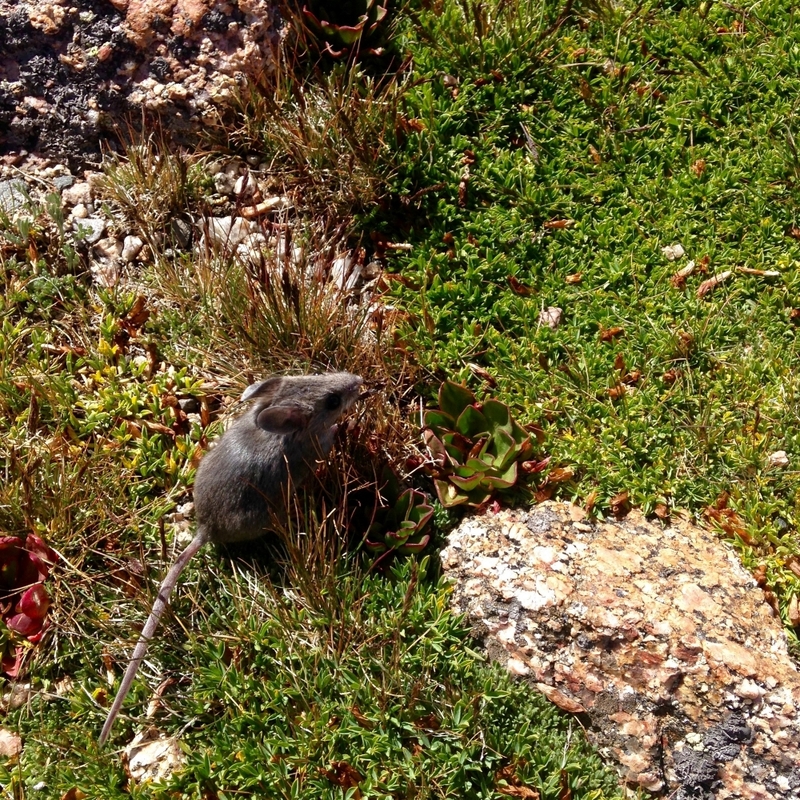 Members of UNVEIL are studying variation in acclimatization responses among populations of deer mice that are distributed along elevational gradients in the western US as a model system for unraveling local adaptation of phenotypic plasiticity. Discoveries made in this project will have broad implications for our general understanding of the limits of acclimatization responses to buffer organisms in changing environments. In an era of accelerating anthropogenic change, understanding how plant populations respond to abiotic extremes is of critical importance. Temperature variation, in particular, can have profound effects on organismal, cellular, and biochemical function, and may thus exert strong selection. Populations adapt to stressful environments via avoidance (e.g. lifehistory strategies that reduce exposure) or tolerance (e.g. physiological shifts); both are likely to be important in plant responses to warming climates. Monkeyflowers are one of only three vascular plants to thrive in the extremely hot (up to 47°C at live roots, >60°C in summer) soils around geothermal features in Yellowstone National Park (YNP). 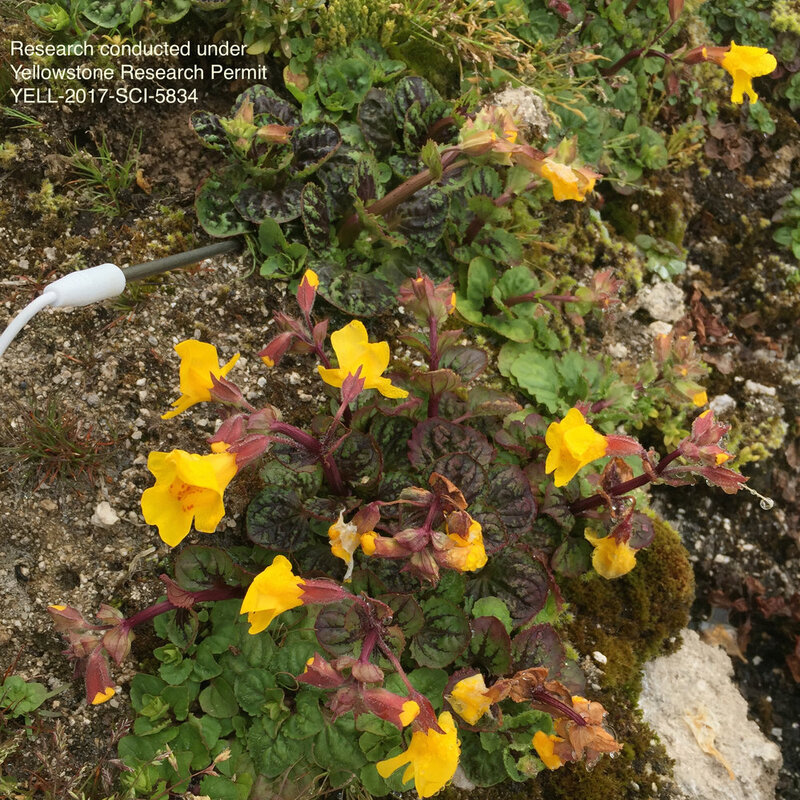 Thermal vent soils, which are acidic and nutrient-poor, as well as hot, clearly present a strong challenge for growth and reproduction, so monkeyflowers provide a unique window into how plants cope with temperature extremes and extreme environments in general. Members of UNVIEL are using complimentary series of physiological experiments and genomic analyses to discover the mechanistic basis of extreme heat tolerance in monkeyflowers. These discoveries will likely have general implications for our understanding of the causes of limits to plant survival in warming conditions. Systems genetics approaches uniquely reveal how integrated sub organismal networks are disrupted in different genetic and environmental contexts. In doing so, they illuminate the black box that connects genotype to phenotype, and provide new insight into the mechanistic basis of complex traits that are critical for informing conservation genetic strategies. These insights are novel extensions of those gained from traditional quantitative genetic approaches, and they represent a largely untapped opportunity to revolutionize the genetic study of fitness-related traits in natural populations. However, we lack generalizable models of how to leverage these approaches to explore the mechanistic connections between genotype and phenotype in natural populations. The UNVEIL network is specifically designed to build bridges across communities to generate systems-level insights into the study of genome-to-phenome connections in the wild, and to leverage these insights for biodiversity conservation. To this end, we aim to develop quantitative, biologically meaningful models that incorporate gene regulatory networks and physiological pathways to predict genome-to-phenome relationships in both model and non-traditional model systems using natural variation. Beyond the scientific goals of the core research projects, the UNVEIL network also seeks to broadly engage with the public through multidisciplinary collaborations. Biotechnologies have raised numerous ethical concerns in medicine and agriculture. As these technologies move further into the arena of conservation biology, new ethical concerns will arise. Conservation biologists will need to develop ethical guidelines to take responsibility for these concerns. Conservation biology has a tradition of serious ethical dialogue and discussion over goals, strategies and guidelines (e.g. Leopold 1969, Soulé 1985). Genomics, and the possibility of genomic engineering, will almost certainly provoke conservation biologists to continue this tradition of dialogue and debate to develop ethical guidelines for the use of genomic interventions for conservation of biodiversity. A primary goal of the UNVEIL network is to explore what those ethical guidelines should look like. Outreach to the public about science extends beyond traditional science journalism; media arts, in particular, can inspire and educate by opening eyes to the natural world and its connections to human experience in new ways. The UNVEIL network also seeks to develop relationships between creative artists and scientists. Specifically, each year we will offer two semester + summer fellowships for graduate/advanced undergraduate students in the Media Arts to embed with one of the three focal projects (or other research teams doing work consistent with the UNVEIL theme). Our scientific goals of understanding how genetic networks evolve lends itself particularly well to communication through animation and video, and the products of these science-art collaborations will be integrated into other local outreach efforts and broadly through the UNVEIL web site and other media outlets. The UNVEIL network offers a variety of fellow opportunities for postdocs, graduate students, and advanced undergraduates. Many positions are open now! Follow the link below for more details.